The Great Pyramid was and remains the most massive construction on planet earth. Built thousands of years ago with precision that cannot be achieved even using modern technology, it’s true purpose remains a mystery. Thought to have been a burial chamber for the Pharaoh Khufu, it contains not a single hieroglyph to support this or any other theory. The relative positions of the three pyramids of the Giza Plateau (Khufu, Khafra, and Menkaura) have been found to correspond to the stars Mintaka, Al Nilam, and Al Nitak which are the belt stars in the constellation Orion. Further research shows that the pyramid of Nebku at Abu Rawash corresponds to the star Saiph and the pyramid at Zawat al Aryan corresponds to the star Bellatrix which are also in Orion; making up the body of the hunter (the constellation Orion is known as the Hunter). Recently, it has also been shown that pyramids existed on the Giza Plateau corresponding to the remaining two stars in Orion; Betelgeuse and Rigel. In effect, the architects of the Great Pyramid created a star map. The question is why? The Great Pyramid itself is a marvel of geometry; containing in its dimensions and measurements the relationship between the Sun and the Earth, the Earth and the Moon, the number of days in a year, and the volume and mass of the Earth, to name just a few. It has been determined that small shafts exiting both the Kings and Queens Chambers to the North and South pointed to the stars Alpha Draconis (i.e., the Pole Star), Al Nitak (one of the stars in Orion’s Belt), Ursa Minor, and Sirius (i.e., the Dog Star) respectively in the year 2450 BCE which has led researchers to believe that this was the approximate year of construction of the pyramid complex at Giza. However, the alignment of the pyramids with Orion’s Belt corresponds to a much older date; 10400 BCE, when the constellation Orion is at it’s lowest point in the night sky as viewed from Giza. Among the numerous figures and calculations contained within the Great Pyramid is that of the Procession of the Equinoxes; namely, 25,827 (i.e., the number of years it takes the Earth to complete one rotation as it “wobbles” on its axis). What is known about the history of the Giza Plateau would appear to suggest that the pyramid builders whoever they were and whenever they lived, were not only aware of the Procession of the Equinoxes, but built a monument to it or perhaps left a message for those who would follow. More recently, it has been suggested that the pyramids were built to honor or mark the alignment of the planets as is the case elsewhere on Earth which brings us to the upcoming VIP Meditation Tour sponsored by the Center for the New Age. In the early hours of December 3rd, 2012 the planets Mercury, Venus, and Saturn will align in the night sky along the eastern horizon at Giza in the same relative angles as the three pyramids. Pictures which have recently been circulated on the internet show three stars hovering low in the sky directly above the pyramids, but these photos were “photoshopped” (think about it, if the alignment only occurs every couple of thousands of years, who snapped the picture?) and can be discarded for any serious discussion. The upcoming alignment will have the three planets lined up vertically along the plane of the ecliptic (i.e., the Sun’s path through the sky) so that for someone standing on the Giza Plateau during the alignment at approximately 5:35 AM local time, the planets will appear vertically in the sky in the east as opposed to sitting horizontally in the sky above the pyramids. This is not to take away from the event, but to clarify what viewers will actually see. The experience of meditating in the Great Pyramid has had a profound effect on my life (I’ve done this twice). I can’t recommend it enough for those in the healing professions as it has changed my life in ways that cannot be quantified. The theories explaining the possible uses of the Great Pyramid; range from burial tomb to granary and all points in between. The one that resonates with me personally is that of ceremonial object; used for resurrection rituals. Guarded not by Leo the Lion (i.e., the Sphinx), but Canis Anubis (i.e., the Dog headed god who accompanies the dead on their journey into the underworld), the Giza Plateau may have represented the Duat (the ancient Egyptians version of the underworld). In effect, the pyramids represented the place where one went to experience death before being reborn (which occurs each night as the constellations Orion and Canus Major pass into darkness only to reappear again the following day. We may never know the true meaning and use of the Great Pyramid, but the paradigm shifts which I have experienced as a result of meditating within its confines with like-minded individuals are undeniable. Venus in Cancer opposes Pluto in Capricorn this entire week. The love we feel for home and those places from which we draw a nurturing spirit will be diametrically opposed to those elements and conditions of life that transform our homes and home-life into something more career based. Matters concerning love, beauty and affection may be overwhelmed by powerful forces or unforeseeable twists of fate. These fateful forces may be intruding somehow on the objects or people we love and admire. This could include just about any kind of scenario – from being shattered over the loss of a loved one, to a terminal disease, to the process of learning how to fully accept and support some kind of total transformation of a loved one. Some people find it difficult to support loved ones through severe kinds of hardship, yet now is the time to offer support to them, despite the opposing forces that appear too harsh or overwhelming. This aspect may well bring on an acute awareness of the desire that some have for power, and the need to have power over loved ones. No one, no matter how powerful, can justifiably tell us what we love, who we love, or how we are to love. Deep in our hearts dwells the truth. When the going gets tough, look to your heart! Once in a rare while, we come to a day that is free of standard aspects. Tuesday is such an unusual day. The Moon sails through Cancer without incident. The emotional landscape is full of perception, internalized processing, and the occasional need to vent feelings or to pour the heart out. The Moon is waning towards newness and this is a good time to share confessions with confidants and enjoy a nurturing, supportive, environment. Cancer says: “I feel,” and if there is ever a time to acknowledge rather than deny or hide from our feelings, Cancer Moon is the time. Once a feeling is felt, it goes through its own evolutionary pattern. We occasionally review the feeling as it changes and matures. Sometimes, we let go of feelings and free ourselves from further review. There’s nothing quite like using the influence of strong feelings to make an impression or to empower a memory. It’s good to keep feelings flowing and free from stagnation. The New Moon in Leo on Friday is a time of personal discovery. Leo is the optimist, and the New Leo Moon brings positive new perspectives to personal goals, as well as inspiring a fresh outlook on one’s image. Some may be strongly touched by the need to get a new lease on life. The desire for the latest fashion and a focus on hair is commonplace for this sort of mood setting. A new pattern of positive self-image and dignity can be created while the old pattern will have to be tempered and corrected. Image comes from within and is generated by the sheer magnitude of one’s will. Everyone has room to grow if they take the time to apply self-worth, self-respect and discipline. 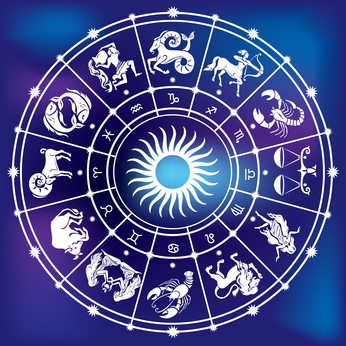 Leo also represents family and friends, and this may be just the time to initiate a new lease on an old friendship or to enjoy a favorite hobby with the family. Stone: Ruby Aries: Is your life in need of a little bit of sparkle – perhaps more fun or creativity? If so, this week’s New Moon on August 17 is good news as it falls in the zone of enjoyment. This could mean chances for happiness or a little bit of fun where children or love affairs are concerned. Or perhaps you might feel drawn to exploring your creative abilities. Then again, you might just want to enjoy a little recreation – a trip to the theater or a night out with your partner or friends. The opportunities to enjoy yourself are high, but for you this is a New Moon of sharing, so whatever you do this week, make sure that you enjoy it, but also aim to share that enjoyment with others. Stone: Emerald Taurus: The New Moon in your family zone brings the potential for new beginnings and positive developments with your home and domestic situation. This is a good week to concentrate on family matters with a view to starting fresh and leaving the past behind. On a deeper level, it would also be appropriate to examine any feelings of low self-worth especially if you find you are comparing yourself unfavorably or feeling “less than” in any situation. Take a moment to appreciate all your gifts, talents, strengths and nice qualities appreciating what makes you different from everyone else. When you truly value yourself and what you do, you will find that other areas of your life, especially your finances, begin to improve. Stone: Aquamarine Gemini: This week’s New Moon feels like a big one for you as it links in with your ability to manifest your creative and romantic desires. If you find yourself feeling frustrated, blocked or angry with regard to your creative fulfillment, children, or matters of the heart, then this New Moon could well offer you the keys to your liberation. Perhaps you have been holding yourself back, probably due to an issue from the past, but now is the time to let go of all your past stuff and focus on the present. By thinking positively and believing in your ideas, you should feel your frustration begin to ease and you can begin moving forward with passion and excitement in your heart. Stone: Moonstone Cancer: This week’s New Moon in your zone of resources makes this the ideal point at which to turn over a new financial leaf. Positive new beginnings are likely, which will have a positive effect on your self-worth and your domestic life. Perhaps problems will just dissolve. You can do a lot to help this magical process by relinquishing your concerns. Don’t get involved in power struggles, and don’t try to keep things the way they are. Be prepared to move towards change and take a flexible moment-to-moment philosophy, not worrying about tomorrow but just staying present in the moment. Your Stone: Peridot Leo: The New Moon in your sign on the 17th is your opportunity to manifest a new beginning in your life. Once again, there may be a challenge to rise above limiting thoughts and beliefs and acting as a master would with conscious awareness that whatever you are creating or moving toward is for your highest good rather than the less mature drives of your ego. In order to move toward new beginnings, you will need to be focused and apply discipline and determination in your thoughts and actions, all the while allowing your intuition to guide you toward that which your soul will find most beautiful. tone: Sapphire Virgo: The New Moon in your zone of soul and spirit on August 17 is your invitation to become more like a master in your daily life. Perhaps the first thing you can aim to do is go with the flow. Resisting what is can be very stressful. Allowing yourself to be carried by the tide requires very little energy and may lead you to something better than if you tried to maintain control. This Taoist approach is, however, a real test of your Virgo need to know. Surrender to a higher power and you will find that life will flow much more easily than if you try to bend it to your will. Stone: Opal Libra: Attend to that which matters most to your heart. In fact, there is a very positive feel to your situation this week as the New Moon serves as a beacon of light and hope in your future zone. Now is the time to put any negative feelings behind you and get on with your life –remembering, of course, those people most important to you. To really benefit from the New Moon energies, take half an hour or so to write down or create a visual representation of your hope for the future, remembering also to write down a realistic plan of how you’re going to manifest these hopes. If it feels right in your heart, with a little application, you will begin to see results very quickly. Stone: Topaz Scorpio: The New Moon at the top of your chart bodes well for aims and ambitions and promises success in your endeavors. You do, however, need to take good care of yourself now if you’re to achieve anything, as it seems that you’re not as strong and energetic as normal. Your body may not be performing in the way you want it to, or it may suddenly seem to trip you up by refusing to play ball. It seems that you cannot take your health and well-being for granted, and by being vigilant, getting plenty rest and ensuring that the food you feed your body is nourishing and of good quality, you are more likely to be able to function as you wish so balance your desires to achieve certain things by making time for yourself. Stone: Turquoise Sagittarius: You may feel like a ship without a rudder this week, so the best way to proceed might be to not proceed at all, but to just pause and survey the scene. The New Moon in your adventurous zone speaks of new beginnings, especially where higher education and travel are concerned, so in these two areas progress might come easily. In all other areas –work, relationships, projects –it might be difficult to get going with anything. The energies are favorable for journeys of the mind, meditation, visualization, philosophical musings and ponderings on your future. If you take time this week to contemplate where you want to go next, you may find that in no time at all your boat has found its rudder and you’ll be setting sail for new pastures. Stone: Garnet Capricorn: The Leo New Moon on August 17 signifies a turning point in your life –an end to any darkness, pain, and difficulty that you may recently have had to experience. Think of it as a psychological spring cleaning or an emotional rebirth. You should emerge at some point this week feeling lighter and fresher than you have in quite a while with new ideas and optimistic plans for your future. The time is also ripe to focus your attention on your personal life, perhaps one relationship in particular. The key to bringing success to this relationship lies in being inventive and committed at the same time. Stone: Amethyst Aquarius: Have you ever done a jigsaw puzzle only to get to the end and realize that there’s a piece missing? We could apply this analogy to your current situation. Perhaps it seems as though there’s a piece of your life missing or an answer that remains elusive. Something, it seems, is hiding from you. However, the New Moon on August 17 brings forth the final piece of your own personal puzzle, thus bringing about a sense of completion. And when that’s done and sorted, you can put your feet up and enjoy some much needed rest and relaxation. Stone: Bloodstone Pisces: This week’s New Moon on August 17 represents a new beginning as far as your health is concerned, so this is a perfect opportunity to turn over a new leaf and start creating vibrant health. This may mean taking up a new form of exercise or beginning a spiritual discipline such as yoga, or it could mean improvements to your diet. At a deeper level, you can help the changes that the New Moon wishes to bring by letting go of emotional issues from the past. Many of our health problems are connected with things that happened in previous times, from traumas and upsets to grievances and resentments. We usually don’t realize it, but emotion gets locked into our bodily tissues and emerges later as a problem. Liberate yourself from emotional pain and then the physical changes that you make to your lifestyle will have even greater impact. Sun 01° Taurus 13' 48"
Moon 29° Scorpio 32' 16"
Mercury 05° Aries 40' 28"
Venus 01° Aries 09' 36"
Mars 14° Gemini 04' 12"